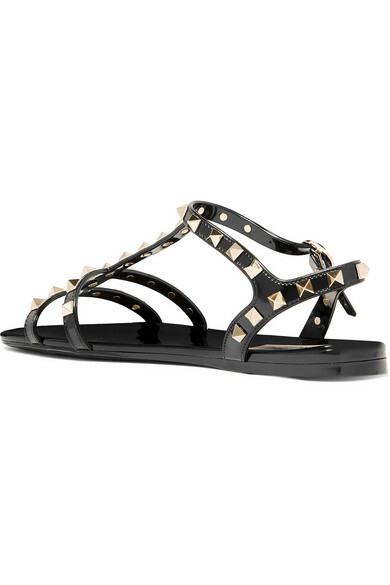 Valentino Garavani's sandals are made from glossy black rubber and hand-embellished with the brand's golden 'Rockstuds'. 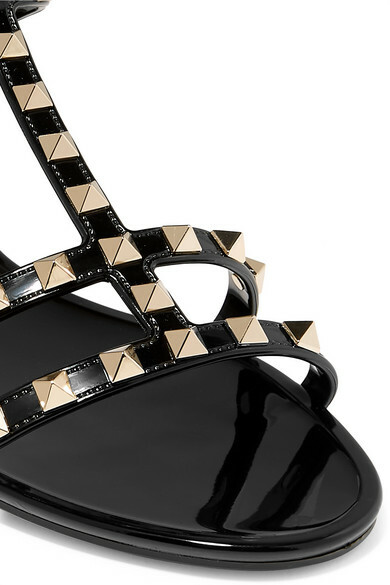 Pack them in your suitcase for warm-weather trips. Shown here with: Zimmermann Dress, Prada Tote, Maiyet Bangle.